might be familiar with, and some detours and side trips. His favourite locations, such as San Francisco, are on the tour itinerary, narrated in the blend of politics, social comment and black humour for which his work is noted, but there might also be a few surprises along the way. 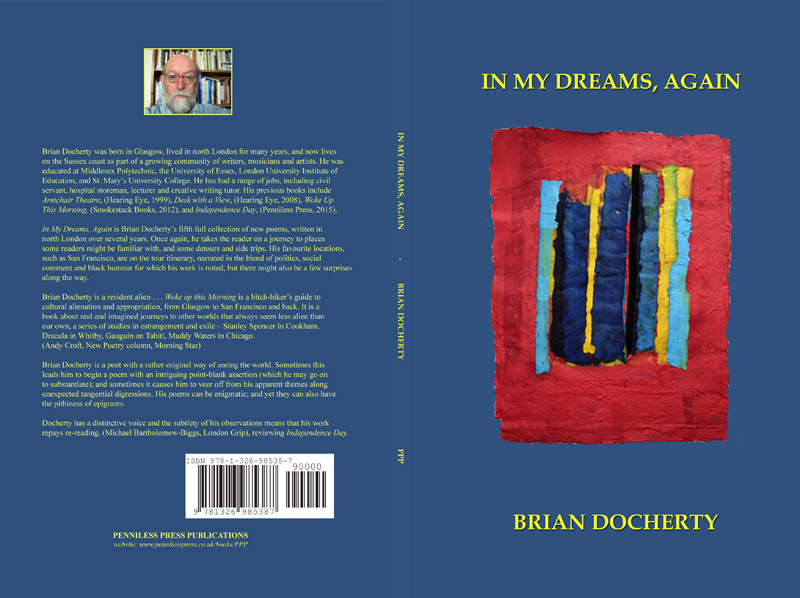 Brian Docherty is a poet with a rather original way of seeing the world. Sometimes this leads him to begin a poem with an intriguing point-blank assertion (which he may go on to substantiate); and sometimes it causes him to veer off from his apparent themes along unexpected tangential digressions. His poems can be enigmatic; and yet they can also have the pithiness of epigrams. Docherty has a distinctive voice and the subtlety of his observations means that his work repays re-reading. (Michael Bartholomew-Biggs, London Grip), reviewing Independence Day.